Ouarzazate is the capital of Ouarzazate Province in the Moroccan region of Drâa-Tafilalet. 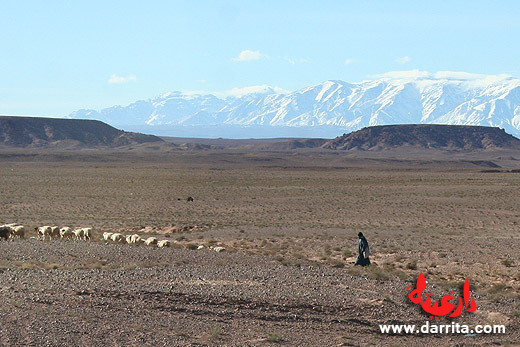 The Ouarzazate Province has many things to visit. 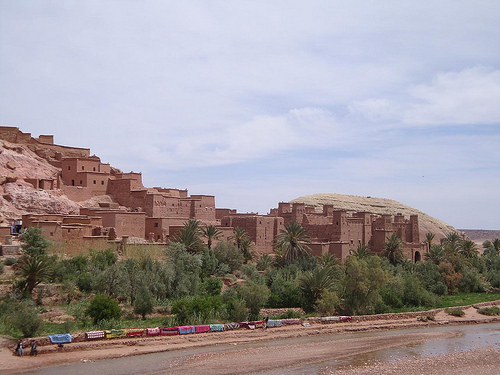 UNESCO Ksar of Ait Benhaddou: This is one of Morocco’s most beautiful sites. Imagine a whole village built with fortified architecture made with mud. Ait Benhaddou is located 25km from Ouarzazate and can be visited year round. Ait Benhaddou belongs to UNESCO World Heritage since 1987. The magnificent ksar of Ait Benhaddou appeared in several Hollywood movies such as Lawrence of Arabia (1962), Jesus of Nazareth (1977), The Jewel of the Nile (1985), The Sheltering Sky (1990), Kundun (1997), The Mummy (1999), Gladiator (2000) and Alexander (2004). Ait Benhaddou is a village on top of a hill located in the middle of a beautiful valley. You can pass the river and explore the fortified village, and climb to the top for amazing views. Ait Benhaddou was an important outpost for the former caravan route between the Sahara and Marrakech. Anzal Berber Village: If you’re into exploring small villages and get a glimpse of untouched Berber culture, Anzal village might be an interesting option if you’re heading towards Tazenakht. Get away from the center near the main road, and you’ll find this little village opens itself with its warm people and breathtaking views of the enormous Toubkal peak which reaches 4167 meters, the highest mountain in North Africa. While visiting Anzal you ought to search for the Association of the light, a women’s weaving association where you can buy amazing unique handicraft.